Hello valuable DLL Downloader.com users. In this writing, we will explain how to update the Windows XP operating system manually. Keeping your operating system updated can help fix your dll errors. Because of this, we recommend always keeping your operating system updated. Open the Windows Update page by following “Start > All Programs > Windows Update“. 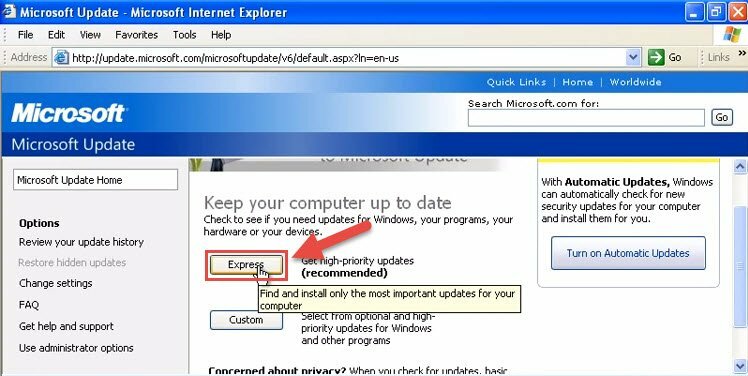 Wait for the Windows Update page that opened to load and if there is a Windows XP update pack, after the page loads an “Express (Recommended)” button will appear. Click this button. If a button like this does not appear, it means that there is no update pack that can be installed. Click on the “Install Updates” button in the window that comes up. 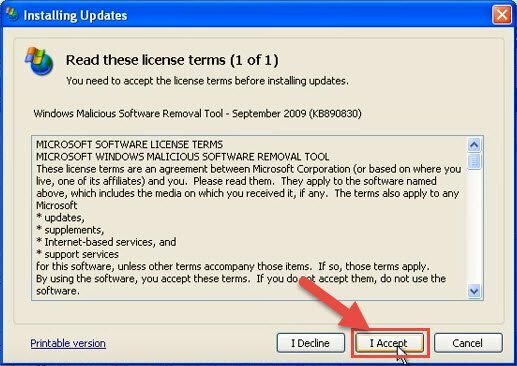 In order to install the updates, click the “I Accept” button accepting the licensing agreement. 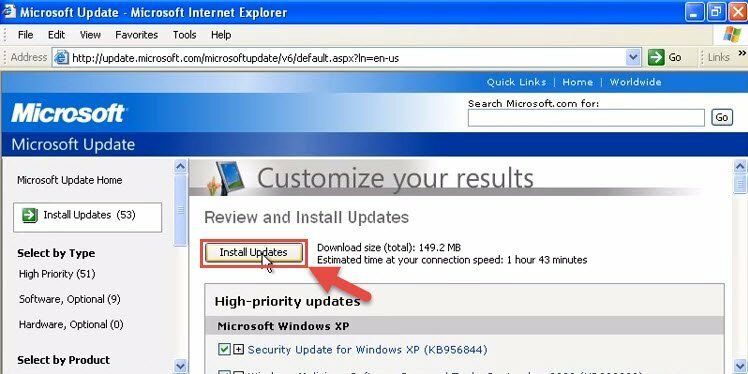 The Windows XP update process is that easy. It will start to download and install the update packs. After the installation process is complete, your computer will restart and try running the application that caused the dll error again. 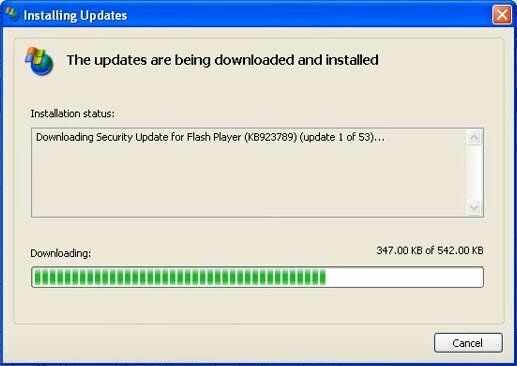 Author DLL DownloaderPosted on 25 March 2016 20 December 2016 Categories How toTags Windows Update, Windows Update Manually, Windows XPLeave a comment on How to Update Windows XP Manually? Hello dear DLL Download.com users. In this writing we will explain how the Windows 7 and Windows Vista operating systems can be updated manually and how the latest update packs can be installed. Keeping the operating system you use updated can help solve the dll errors and other similar system errors you are experiencing. For this reason we recommend you to keep your operating system always updated. This explanation has been prepared for both Windows 7 and Windows Vista users. The checking for updates and available update pack installation processes are the same for both operating systems. 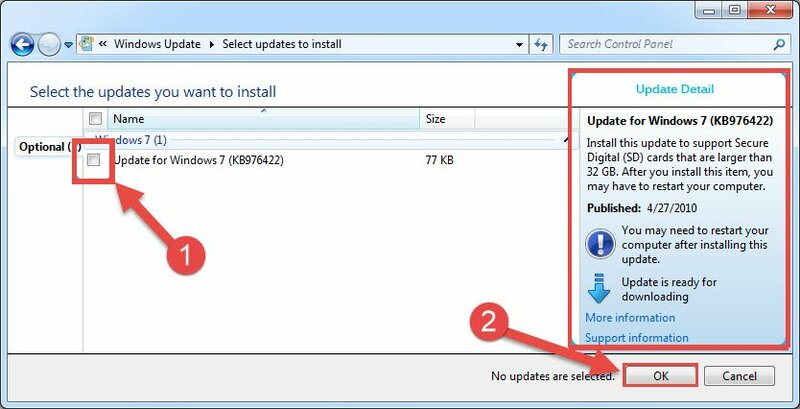 By following the steps in this explanation you can update your Windows 7 or Windows Vista operating systems manually. Click on the Start Menu and type “Update” into the search box. 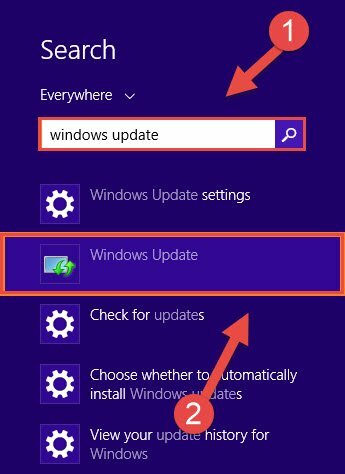 Click the “Windows Update” result from the search results. 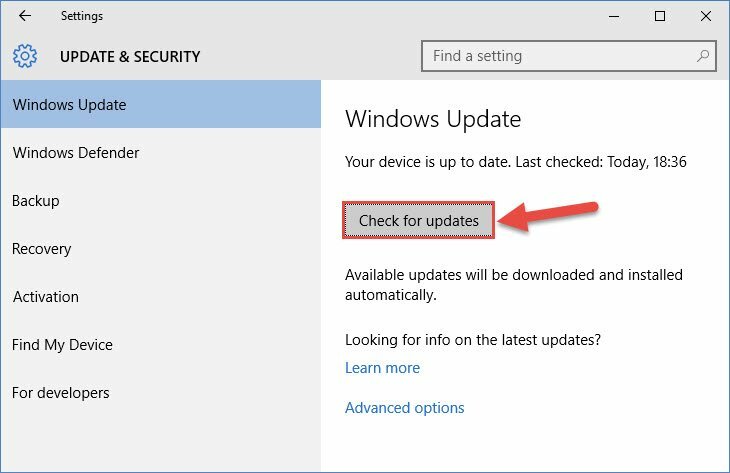 Click on the “Check for Updates” link on the left side of the Windows Update window that comes up and start the checking process. 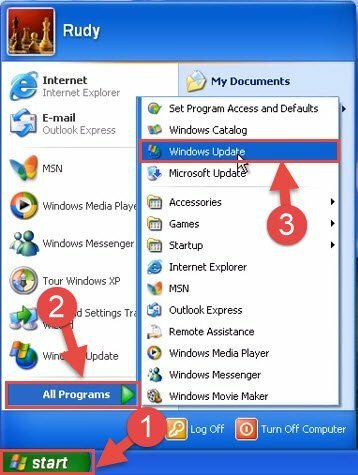 If you come across a screen like the one below, it means that the Windows 7 or Windows Vista you’re using is already updated. In this situation, you do not have to do anything else. If you come across a screen like the one below, there are important Windows 7 or Windows Vista update packs that need to be installed. Click on the “Install Updates” button and start installing the packs. If instead of getting the screen above you got the screen below, it means that there are installable updates but they’re not important. In order to fix your dll error, you need to install these updates as well. So, click on the update links. You will see the installable update packs in the window that comes up. Choose all of them and click the “OK” button to start the installation process. 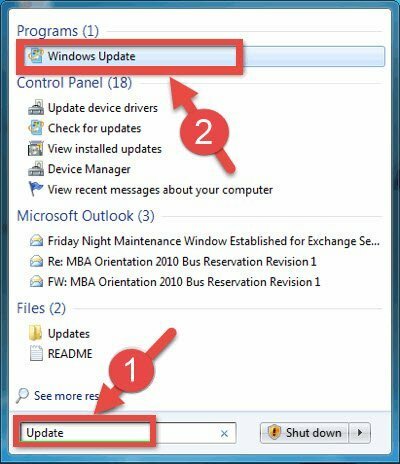 When the updates are finished make sure to restart your computer and activate these updates and try to run the application that was giving you the dll error again. 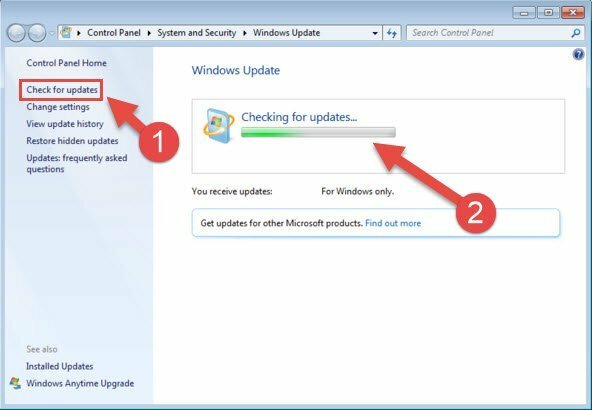 Author DLL DownloaderPosted on 25 March 2016 20 December 2016 Categories How toTags Windows 7, Windows Update, Windows Update Manually, Windows VistaLeave a comment on How to Update Windows 7 and Windows Vista Manually? Hello dear DLL Downloader.com visitors. In this writing, we will explain how manual updates to the Windows 8.1 and Windows 8 operating systems are done. The update process can help you to fix dll errors in certain situations. Open the Metro interface by clicking the “Windows” key (it’s the key with the Windows logo found on the bottom of the keyboard 2 keys to the left of the spacebar), and type “Windows Update” on your keyboard. 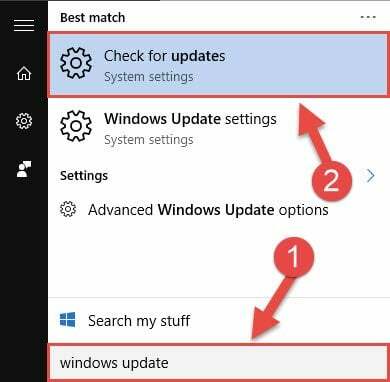 Click on the “Windows Update” result that appears in the search result list on the right of the screen. Click on the “Check for Updates” link that appears on the left side of the Windows Update window that comes up. It will start looking for update packs that can be installed. If an installable update pack is not found, you will come across a screen like the one below. This means that you have an updated operating system. If you see a screen like the one below, you can start the installation process by clicking on the “Install Updates” button. If you see a screen like the one below, it means that installable update packs have been found but these update packs are not very important. You can install these updates by selecting all installable updates and in the window that comes up choosing all the update packs and clicking on the “Ok”. When the installation process is complete, your computer will need to be restarted. You will see a warning message because of this in the Windows Update window. Try running the application that gave you the dll error again. Author DLL DownloaderPosted on 25 March 2016 20 December 2016 Categories How toTags Windows 8, Windows 8.1, Windows Update, Windows Update ManuallyLeave a comment on How Can Windows 8.1 and Windows 8 Be Updated Manually? Hello valuable DLL Download.com visitors. We have another help topic. On this topic, we will explain how you can update Windows 10 manually and how you can fix the DLL errors you are experiencing. Open the Start Menu and type “Windows Update” on your keyboard without clicking anywhere. Click on the “Check for Updates” result that appears in the search results. Start the update process by clicking on the “Check for Updates” button in the “Update & Security” window that opens up. When the updates are complete, your computer will restart and try opening the application that was causing the dll error. 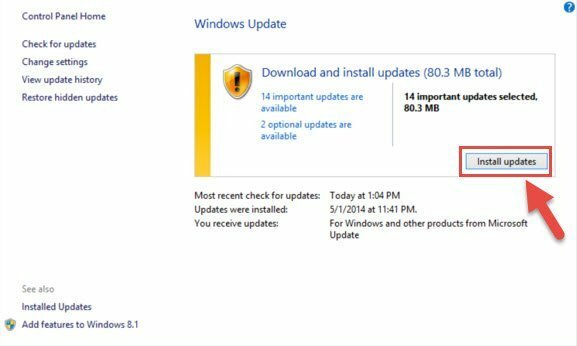 Author DLL DownloaderPosted on 25 March 2016 20 December 2016 Categories How toTags Windows 10, Windows Update, Windows Update ManuallyLeave a comment on How to Update Windows 10 Manually? Author DLL DownloaderPosted on 25 March 2016 25 December 2016 Categories DictionaryTags DLL1 Comment on What is DLL File? What does it do?